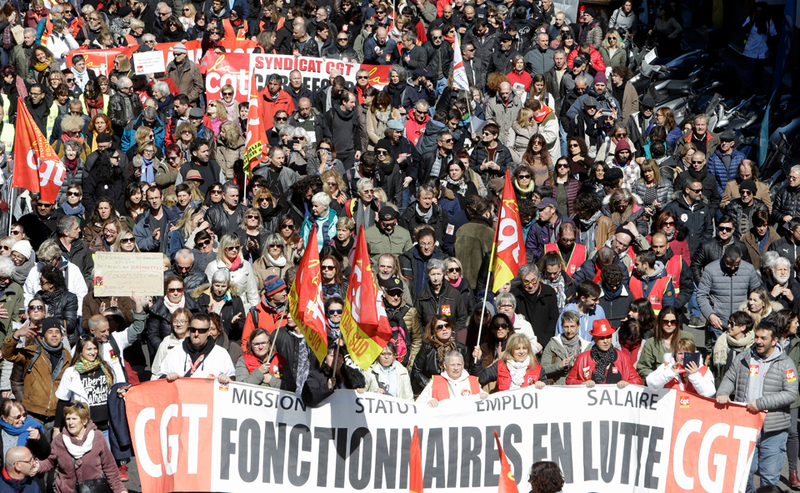 French public-sector workers walked out yesterday and joined marches and rallies against President Emmanuel Macron’s austerity policies and deregulation drive. The workers joined 150 planned demonstrations across France. Striking rail workers brought 60 percent of express trains and 75 percent of intercity trains to a halt. Walkouts by teachers forced many schools to close, with estimates of at least one in eight leaving classrooms to join the protests. Air transport workers forced a third of flights to and from Paris airports to be cancelled. And striking power workers caused electricity output to fall by 3 gigawatts—equivalent to three of France’s nuclear reactors. Their actions have been galvanized by Macron’s plans to fire 120,000 government workers by 2022 and introduce performance-related pay. 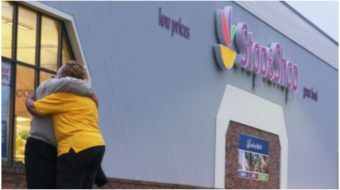 Civil servants organized in the left-wing CGT trade union confederation said that the government had clearly taken the path of confrontation with its most recent cuts announcement and that public-sector workers must mobilize to halt the assault. Macron’s policies build on those of his government’s Socialist Party predecessor, in which he was a minister, particularly the El-Khomri and Macron laws that attacked workers’ rights. His ministers have recently geared up for a fight with France’s rail workers, planning to hack away at their terms and conditions while preparing the publicly owned SNCF railway for privatization. That privatization may well take the form used in Britain, with the European Union’s Fourth Railway Package requiring member states to allow private competition in the running of passenger services. 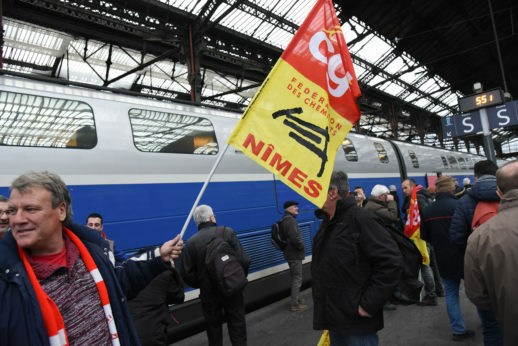 The four rail unions have vowed to resist the attacks and smears against them, with France’s media blaming workers for the actions of management and successive government reorganizations. One of today’s biggest rallies took place at the Gare de l’Est station in Paris in solidarity with them.